Adjust the seat before driving, and make sure the seat is locked securely by trying to move forward and rearward without using the lever. If the seat moves, it is not locked properly. After adjusting a manual seat, always check that it is locked by shifting your weight to the front and back. 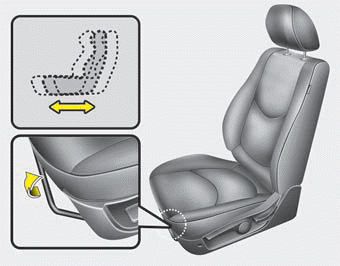 Sudden or unexpected movement of the driver's seat could cause you to lose control of the vehicle.